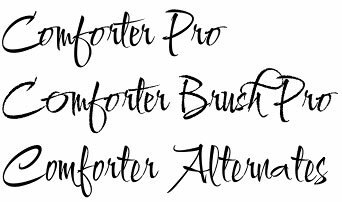 Comforter font family is a very funny and quirky contemporary typeface characteristic with its upright brush style and handwritten appearance. It is like this font family has two faces – it is modern and still traditional, funny yet serious, elaborate yet funky, rough yet extremely elegant. 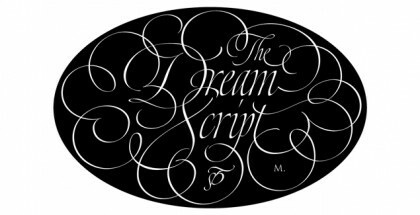 It may look like scribbles to some but is a real calligraphic jewel at the same time. Its casual and playful feminine look will be appreciated by both professional and amateur designers as will give you plenty of ideas and options and will provide unmatched quality. It is more than suitable for wide range of applications like in advertising, commercials, branding, invitations, brochures, art, tattoo and fashion related items, labels, logos, T-shirt design, etc. Also, it will be perfect for any project in which friendly feelings and emotions are to be expressed as well as refined sense of humor. 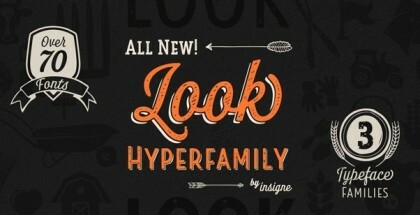 The dual nature of Comforter font family is shown once again in the variants it is supplied in. First, you get the PRO versions with more than 600 glyphs that are fully OpenType compatible and provide plenty of features as well as ornamental and word art glyphs. They also include numerous language options part of which is a very interesting script Cyrillic that uses both cursive and traditional forms. Then, there are the Regular versions – equally beautiful but without the OpenType features. Somewhere in the middle of these are the Alternate variants that contain some of the alternate forms found in the PRO, Cyrillic included. Get Comforter font family and add plenty of beauty to your project!